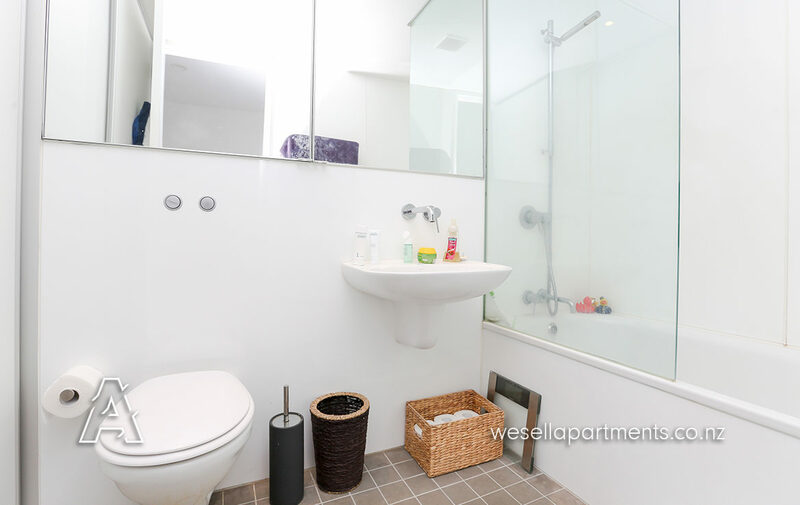 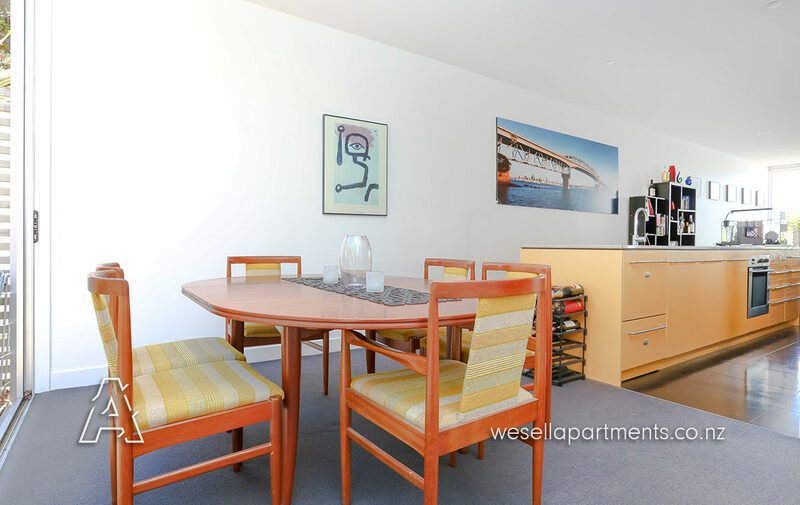 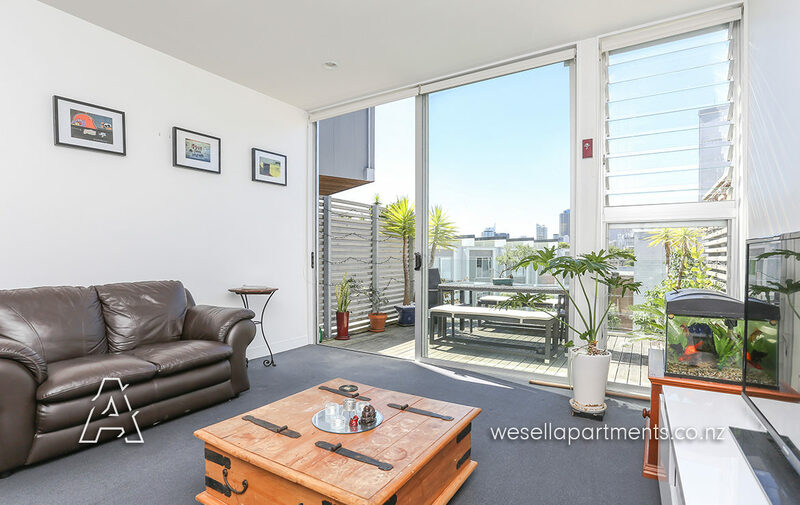 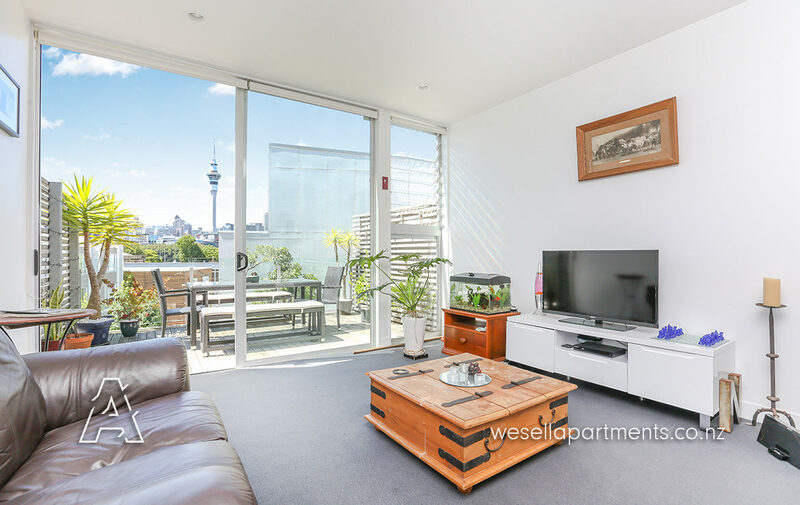 Located at the end of a very tightly held block of significantly larger 2 bedroom apartments, this one is lucky enough to have windows down the northern elevation giving both bedrooms windows on 2 sides and plenty of natural light. 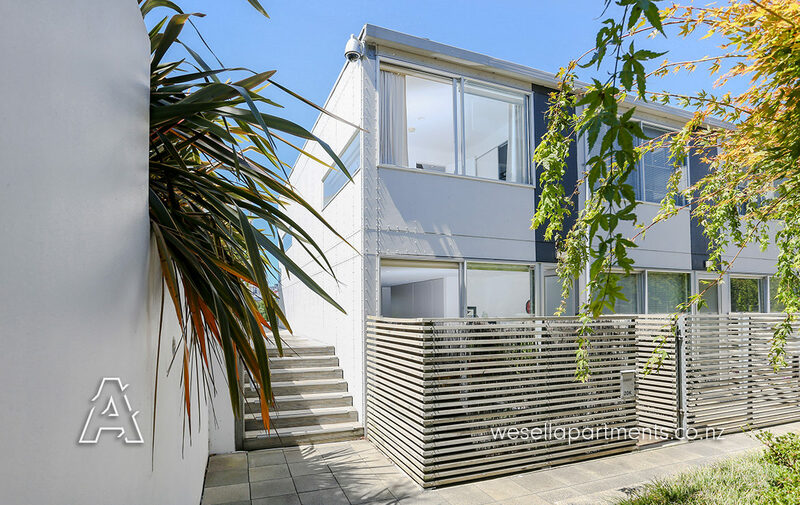 Bigger than most at approx 111m2 + car park, you’ll love the large open plan living & kitchen area flanked by a sunny east facing balcony and west facing courtyard. 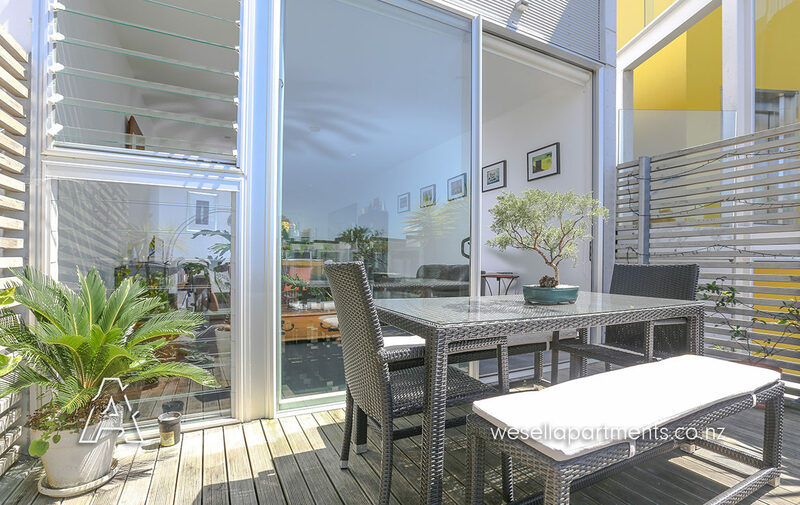 Enjoy the summer breeze with plenty of space to spread out in this ideal lock up & leave city home. 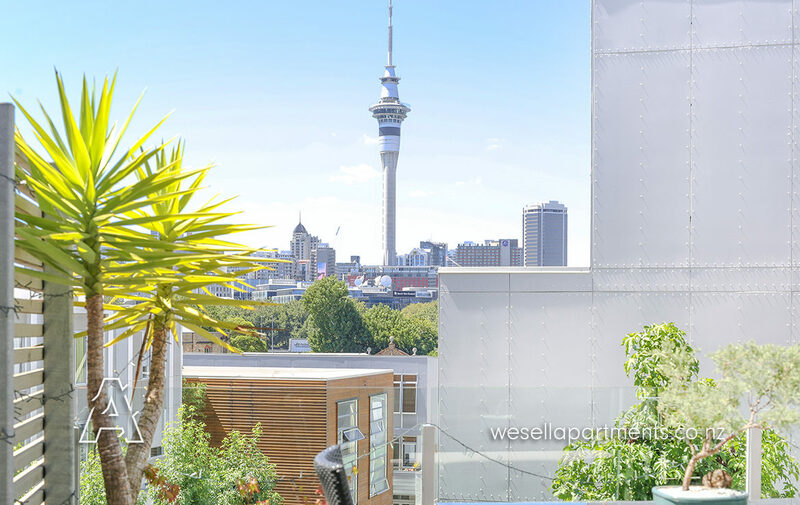 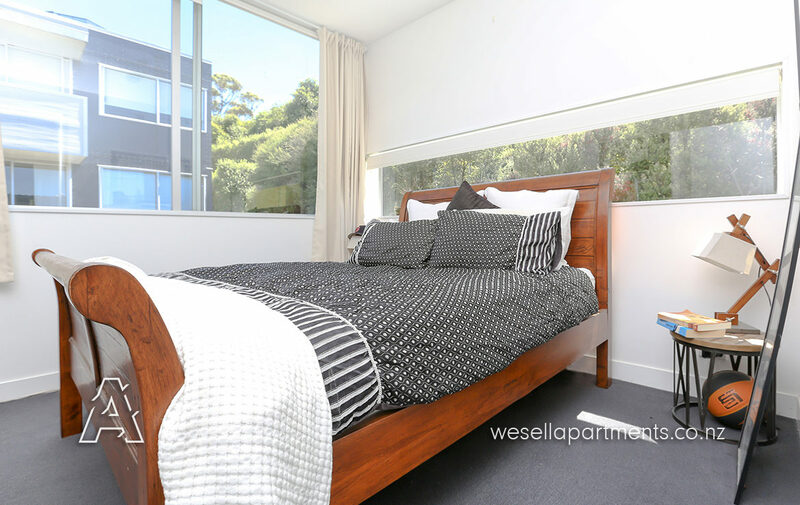 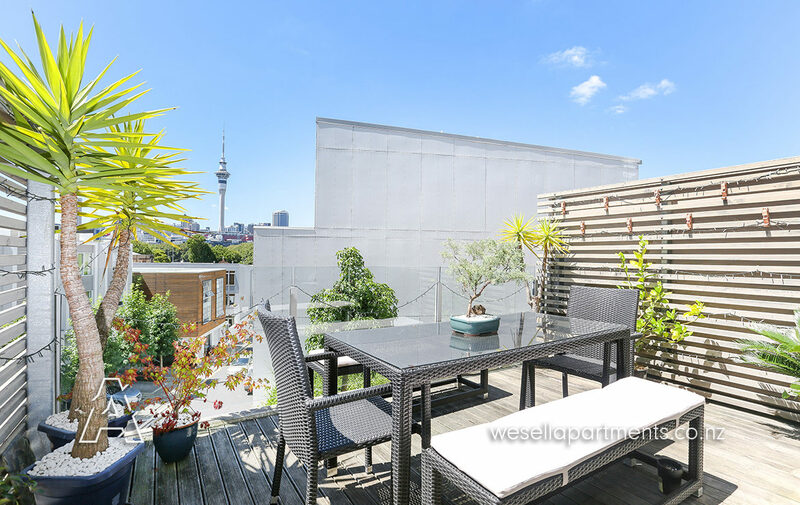 The master bedroom boasts a sunny east facing view of the city and sky tower from its elevated balcony through floor-to-ceiling glass doors, whilst the second bedroom next to second toilet gets the evening light as the sun set over the rear of the complex. 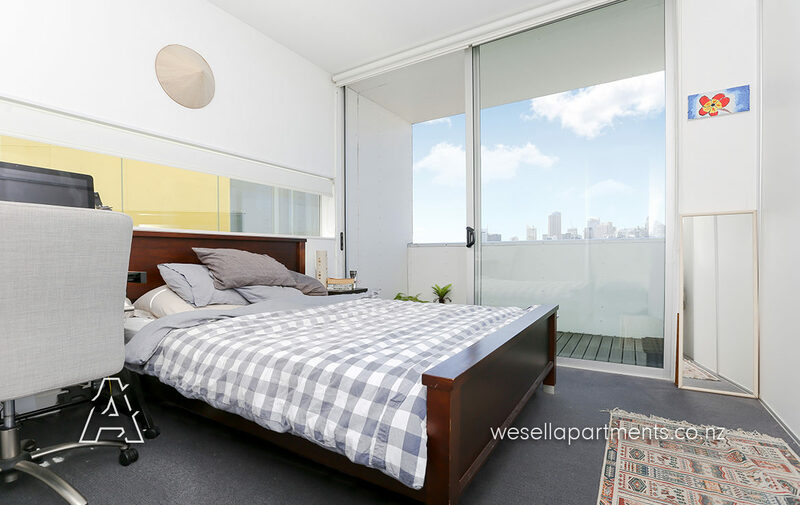 Both bedrooms enjoy natural light throughout the day thanks to being the end unit and having the only north facing windows in the block, a special position with lots of benefit. 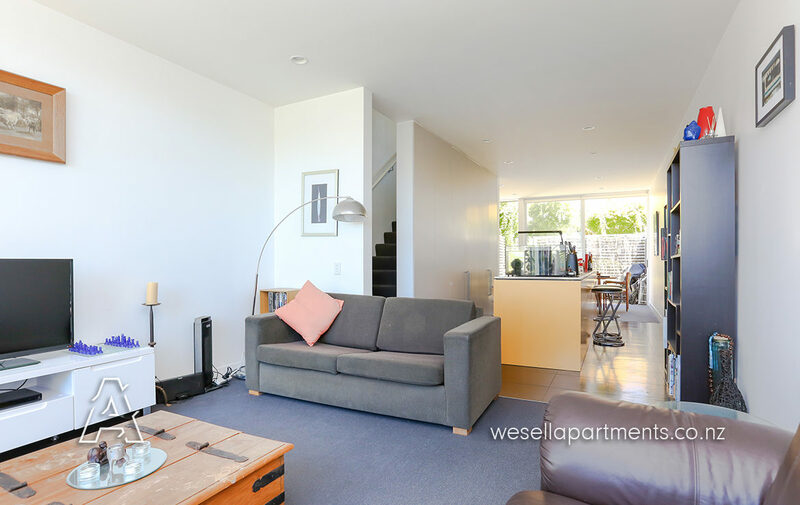 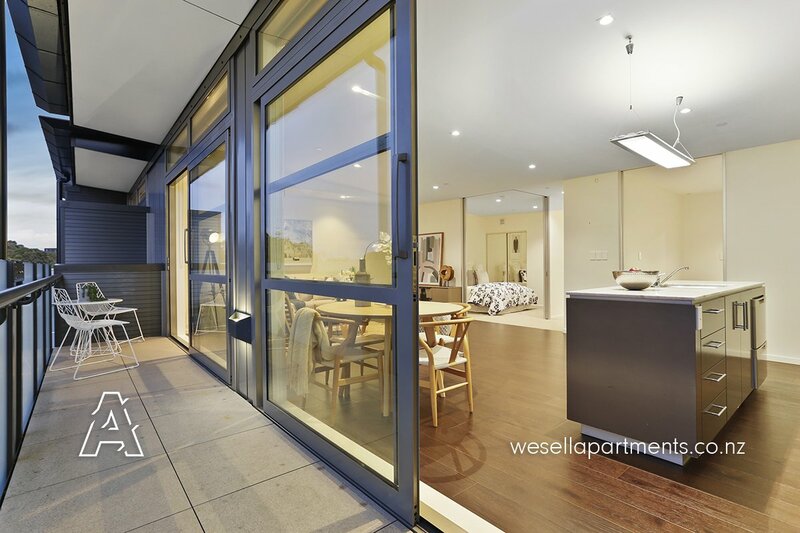 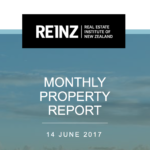 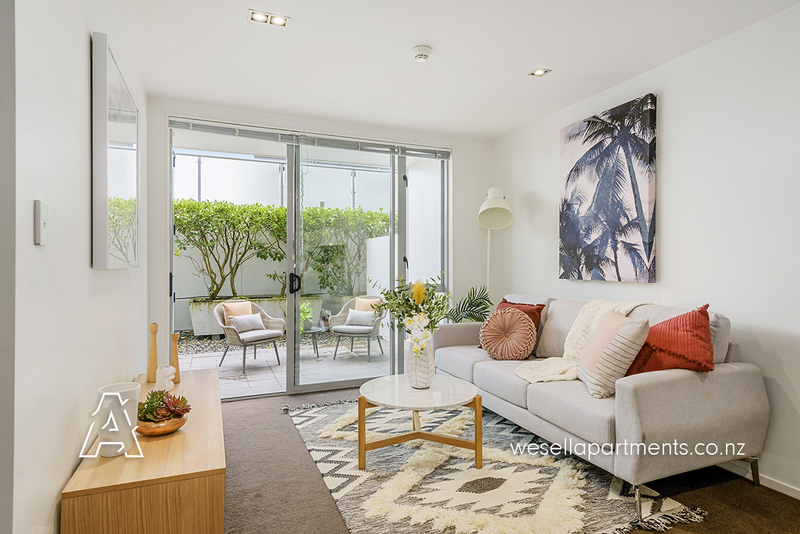 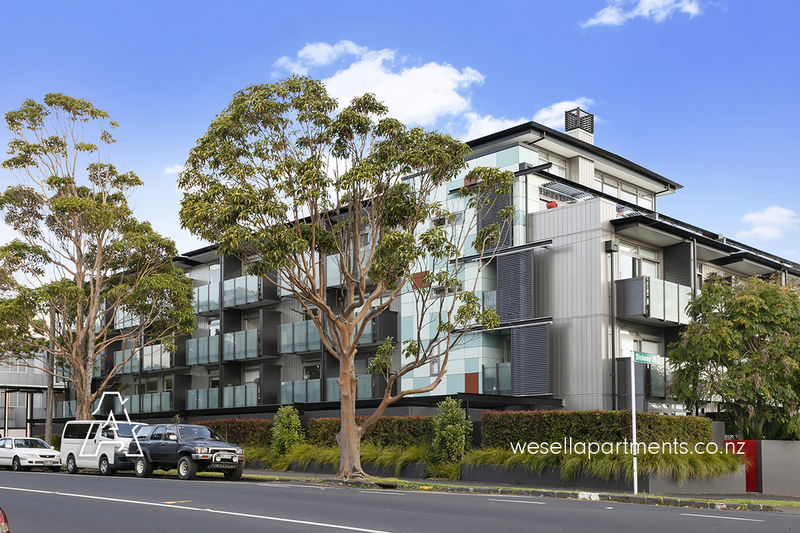 This superb city fringe location speaks for itself, just a stroll across Victoria Park to the City or up College Hill to Ponsonby, and with use of the quality facilities including an indoor lap pool, spa, sauna, gym and comprehensive onsite management you’ll be one of the many happy owners in this extremely popular spot.